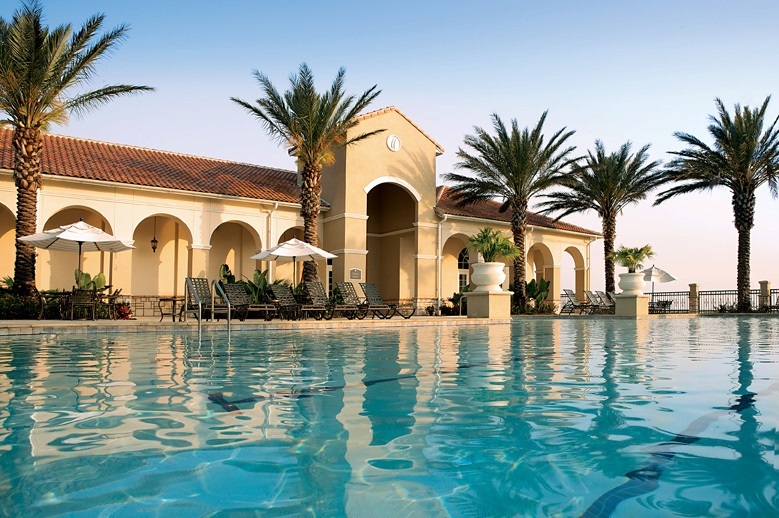 Nestled away just 30 minutes from Orlando’s attractions, the award-winning lakefront community of Bellalago combines classic Mediterranean textures with the Old Florida lifestyle—the perfect reason to move to Florida. The community tone is defined by beautiful designer homes with tile roofs, neighborhood parks, and heavily wooded nature preserves with century-old oak hammocks. Sparkling lakes and a wealth of resort-style recreational amenities complete the picture. Then there’s the real star attraction: over a mile of shoreline on beautiful, world-famous Lake Tohopekaliga (‘Lake Toho’) – including a 1,300-ft boardwalk with a gazebo that’s picture-perfect for strolling. The boat ramp/lift handles powerboats up to 26 ft, and residents enjoy access to over 300 acres of inland lakes and waterways, great for fishing and boating. Amenities available to new homes in Bellalago include a pair of multi-million-dollar clubhouses with state-of-the-art fitness centers, multi-pool aquatic centers, children’s water parks and tot lots, tennis and basketball courts, a band shell, and walking and biking trails to explore. Bellalago Academy is K-8 charter school, and every child in Bellalago is guaranteed a spot in this state-of-the-art learning environment. Neighboring Liberty High School (9-12). Village Shops at Bellalago includes Publix, Subway, McDonalds, Dance Studio, Hair and Nail Salons, Vet and Banking. Also at the Entrance of Bellalago is a Walgreens, Papa Johns, Medical Clinic, Dunkin Donuts, Chicken Restaurant, Barbershop and more. Just a few miles away from Bellalago there is a Lowes, CVS, Kentucky Fried Chicken/Taco Bell and many more stores and restaurants. Valencia Community College has just broke ground and will be due to open in 2017. With a long list of amenities and in an ideal location, Bellalago is the perfect community in Kissimmee for you and your family.